Since its release in November of 2012, the Nintendo Wii U has frankly been a disappointment. The system’s sales were dismal when compared to its older siblings and the newest Nintendo baby the Switch, and this is a shame because it had some decent game releases. Instead of having to say goodbye to some of those popular Wii U titles, Nintendo has graciously begun to port over some of the more popular installments that were crafted for the failing system. In May, we saw an enhanced Donkey Kong Country: Tropical Freeze brought to the newest Nintendo star — to much appreciation from the fans — and now we have Captain Toad’s Treasure Tracker. 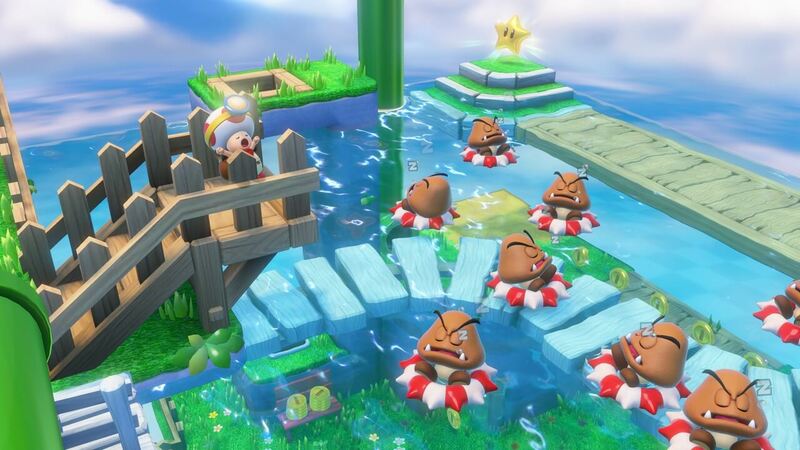 Captain Toad’s Treasure Tracker was initially released for the Wii U in 2014, and its reception was widely favorable. Many players loved the ability to use the touchscreen of the Wii U tablet to further interact with the game’s levels, and praised the originality of the game’s numerous levels. Now, you can enjoy this fun little offshoot of the Mario world on your Switch and 3DS systems! Thanks to the portable tablet that I personally love about the Switch, and, of course, the touchscreen on the 3DS, you can still interact intimately with the levels of this adorable little action puzzle game. As with all games being ported over to the Switch, Nintendo has been adding bits and pieces to improve upon the original; one of the big ones for Captain Toad’s Treasure Tracker is the ability for multiplayer on the Switch! The gameplay for Captain Toad’s is fairly straightforward — at least, as straightforward as a puzzle game can be. The player can turn the level every which way to change your perspective and better understand the obstacles they need to overcome in order to reach the star and move forward to the next level. Captain Toad cannot jump, so you must find a clear path to each star, often moving certain parts of the map on their respective axis using the touch screen, or via various other customarily seen puzzle/maze-solving methods. You often must change your perspective on the level as you move through, since the game is from a top-down view and Captain Toad can easily disappear around a corner. The primary goal of each level is to collect the star; however, there are also three gems you can find in each level, as well as some sort of unique extra objective that will appear on the level page once you have completed it. Also, you can play hide-and-seek with a tiny red pixel Toad, which is a lot harder than it sounds! The difficulty of this game builds as you move forward. Each level becomes more laborious and presents you with new challenges and puzzles to overcome to reach that prized star. I will say, the levels become much more time-consuming to complete rather quickly, which keeps things interesting. The overall length of the game varies on how fast you want to plow through; a speed run could result in as few as six to seven hours, while a more leisurely play style could see close to thirty. Considering the lack of a sixty-dollar price point, I feel like you get plenty of bang for your buck. I’ve personally put about ten hours into the game so far, and I’d say I’m about three-quarters of the way through. If you’re a completionist and insist on gathering everything you can in each level, this game will keep you happy for quite some time. The plot of Captain Toad’s Treasure Tracker is relatively basic. We open with Captain Toad and Toadette about to grab a Power Star when the game’s main villain, Wingo, snatches it up, along with Toadette. In true Mario style, Captain Toad’s goal is to save the girl and get the star back. There are three chapters in the game. During the first we play as Captain Toad as mentioned before, who’s journeying to rescue Toadette. During the second we play as Toadette, whose turn it is to do the rescuing as Wingo has once again taken the Power Star, and Captain Toad along with it; and in the last leg of the journey, both adventurers are together to face Wingo in the final showdown. 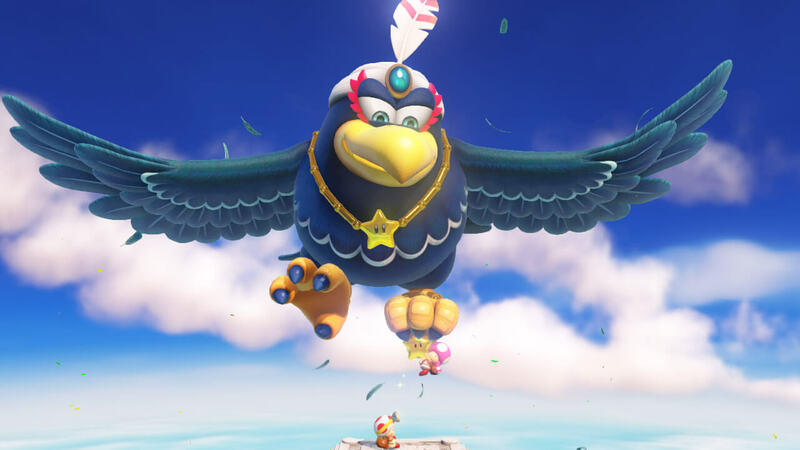 On your quest, a friend can help you by providing support, similar to Cappy in Super Mario Odyssey, so this is an improvement from the original Wii U version. There are also added levels that are Odyssey inspired for even more fun along your way to beating up the bad guys. The graphics of this game follow along with the new and — in my opinion — improved style that Nintendo has rolled out for their Mario universe titles. Everything is bright and bouncy and overall fun to look at. The level designs are all unique and interactive, featuring many of the enemies we have come to know and love. If looking at them side-by-side, I’m not sure you would see a huge quality difference between the Wii U and Switch versions. The Switch may be just the tiniest bit more detailed or have better shadowing, but overall they are pretty identical. With a title like this, hyper-reality isn’t really a focus, so I don’t think anyone will be disappointed in the cartoony design or cutesy animation. The soundtrack for Captain Toad’s Treasure Tracker is what you would expect. Each track goes along perfectly with its level and will have you bouncing along. For more intense moments and battles you’ll get that pounding beat to keep you on edge as you try to take down your foe; just as you’ll get something a little more boppy and flowy in a level that’s more water-themed. Nintendo has always been great with their soundtracks; I don’t think anyone would deny that. The music is fun; it keeps you entertained along with the game and compliments the various situations well. I have yet to play a title from the Marioverse that didn’t have a well-made score to go along with it. Heck, I’ve yet to play a title from Nintendo that couldn’t boast the same. Captain Toad’s Treasure Tracker is fun, plain and simple. The mechanics of the game are exciting, innovative, and unique enough to keep you interested. The story is fairly basic, but do we really play games like this for the story? For me, these cute puzzles are a way to relax and pass the time with a little bit of challenge and some upbeat music. Toad has always been a cute fringe character, and it’s nice to see him get his own title where he and Toadette can shine. I love that they made him unable to jump because his “backpack is too heavy,” which can make even a seemingly simple puzzle to us something that requires a great deal of work and thought for him (who is also us). So, if you’re looking for a new game for your Switch at a reasonable price point that will give you hours of fun, Captain Toad’s is precisely what the doctor ordered. 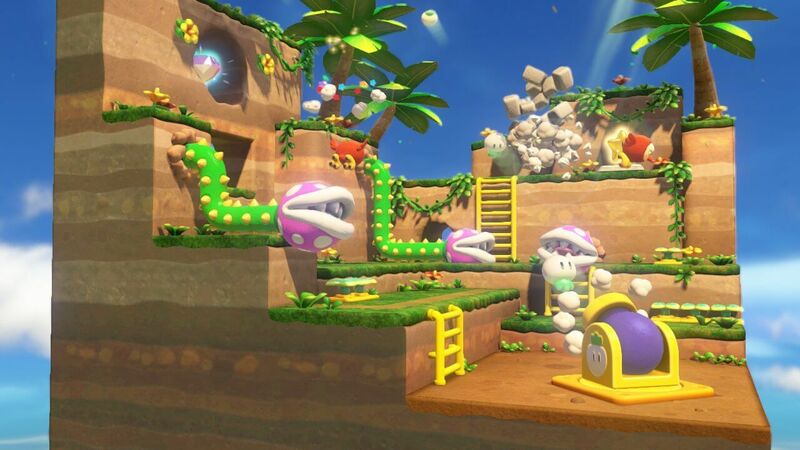 Captain Toad's Treasure Tracker is a fun action puzzle game with a simple story and bouncy soundtrack. If you wan't a relaxing game to pass the time that still poses a challenge, this is the title for you.